Note : Your request will be directed to PCTEL. The GL4X4MIMO-SF from PCTEL is a dual band 802.11ac/p MIMO antenna that can help boost data rates for utility networks, Intelligent Transportation Systems (ITS), and other Industrial IoT (IIoT) applications. It delivers a gain of up to 4 dBi and can handle an input power of 25 watts. 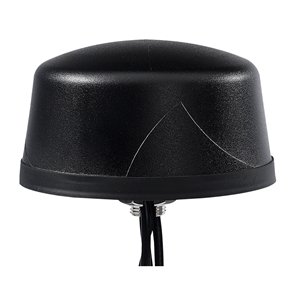 This 4-port low-profile antenna supports dual-band 2.4/5 GHz coverage along with PCTEL&rsquos unique high rejection GPS/GLONASS technology for network timing and tracking, all in a single IP67-rated housing. It supports a variety of wireless technologies, including broadband mesh networks, 802.11ac Wi-Fi, and 802.11p DSRC Wireless Access in Vehicular Networks (WAVE) standards for direct vehicle-to-vehicle (V2V) and vehicle-to-infrastructure (V2I) communications. The antenna is designed for both mobile and fixed deployments, enabling smart grids, mobile workforce communications, and advanced automation technologies across a variety of industries. This antenna also supports Dedicated Short Range Communications (DSRC), a common interoperable safety standard for vehicles. How do you measure Antenna Gain? What is an Anechoic Chamber?